PR News’ Crisis Management Summit will take place on February 27-28 in Miami, FL. This conference for forward-thinking communications leaders will allow you to walk away with the confidence in your ability to keep your brand’s reputation intact. 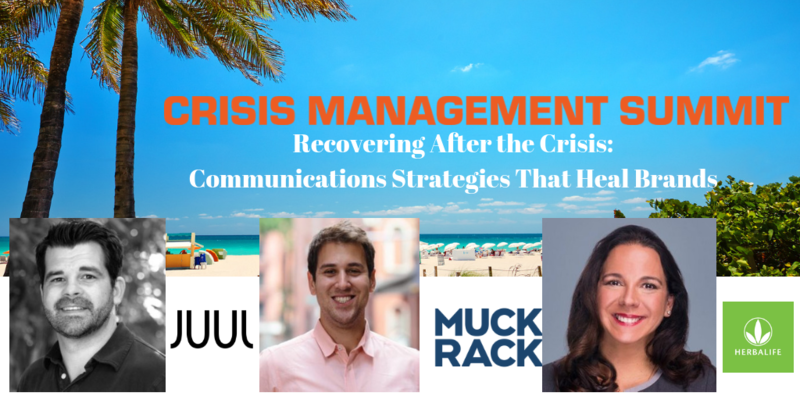 MuckRack, along with communicators from brands like KFC Global, IBM, GoDaddy, NAACP, Equifax, Heineken, ESPN and more, will have you crisis-covered in social media, media relations, risk communications, measurement and more. Use our VIP code MUCKRACK before Feb. 6 to join us Feb.27-28 in Miami with a special discount. As social media becomes a larger part of communications plans, it’s important to understand what journalists are talking about on Twitter, but also what they’re sharing. Want to know what the top health publications were in 2018, according to journalists? 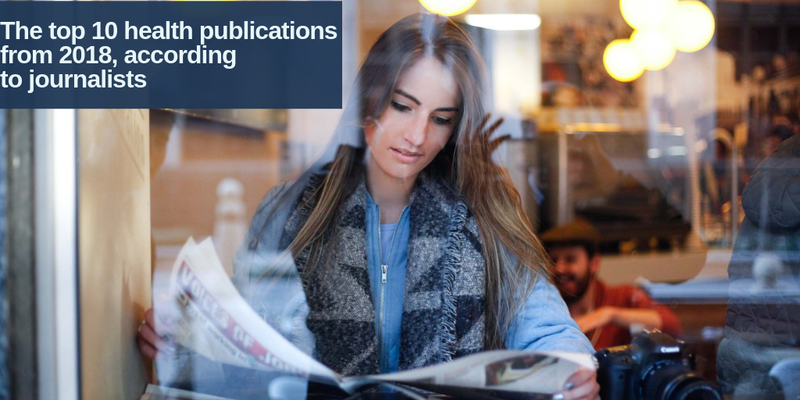 Head over to the Muck Rack Blog, where Emma Haddad has pulled the top 10 publications that cover health and science, based on how many social shares they received in 2018 specifically from journalists who are verified on Muck Rack. We start today with new research that provides yet “Another reason to lament decline of local news,” as Matthew Daly tweets. Published in the Journal of Communication, this study found that a steady loss of local newspapers and journalists across the country contributes to the nation’s political polarization, writes David Bauder of The Associated Press. One of the researchers, Johanna Dunaway, a communications professor at Texas A&M University, said voters in communities without newspapers are more likely to be influenced by national labels, making split-ticket voting less likely. She added that politicians “have to rely on party ‘brand names’ and are less about ‘how I can do best for my district.’” “Support local journalism for all of our sakes. Democracy depends upon it. #journalism #newspapers,” tweets Michael A. Fuoco. But if you’re thinking about talking politics with your local barista while they misspell your name on your cup, it’s probably not worth the effort. Here’s What Starbucks Is Telling Employees To Say About Howard Schultz, according to what Maxwell Strachan of HuffPost has learned. Betsy Woodruff of The Daily Beast got hold of a leaked email that shows NRA Heavyweight David Keene Wanted Access to Putin. “Half of the 481 unsolved homicides committed from 2013 through 2017 happened in 11 of the NYPD’s precincts. @coulterjones and @KannoYoungs did a fantastic job reporting and providing necessary context when NYPD continues to tout record low crime.” James Fanelli links to the story by Zolan Kanno-Youngs and Coulter Jones of The Wall Street Journal, New York City Has Record Low Crime, but in Some Neighborhoods Most Murders Go Unsolved. Yesterday we asked: Megan Mullally said her late father, who was a struggling actor in the 1950s, recently received a SAG/AFTRA residual check for his performance in what show? Answer: Carter Mullally Jr. received that check for the pilot episode of the Twilight Zone. Your question of the day for today is...Public health officials are investigating a Salmonella outbreak across eight states that has been linked to contact with what kind of pets? 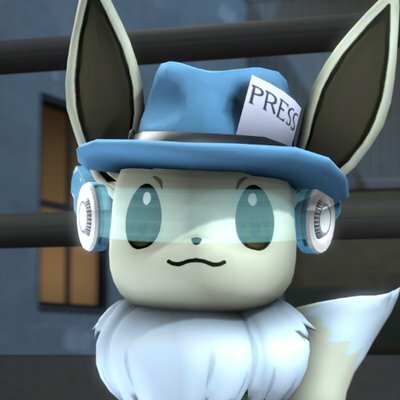 Today’s featured journalist is Mexican gaming journalist Ule Lopez. Ule covers tech, gaming and gadgets, and his work has appeared in GamersPack, VGR, Geek Reply and elsewhere. He says he’s “a journalist that listens and understands that people deserve more integrity with their journalists.” He’s also not afraid of “reporting on the wildest of subjects.” Find out more and check out some of Ule’s work here.